Gorilla Glass, Corning's enormously sturdy scratch- and crack-resistant touchscreen glass, is pretty impressive, found on billions of devices worldwide. Now, the glass maker has announced a novel manufacturing technique to make 3D shapes out of Gorilla Glass. The ability to make 3D shaped glass (which is different from flexible glass) comes at an important time, as smartphone makers are seriously contemplating a world where touchscreens aren't just flat planes anymore. And with wearable displayslooking like the next step for electronics, durable, 3D shaped touchscreen glass is sure to become a necessity. 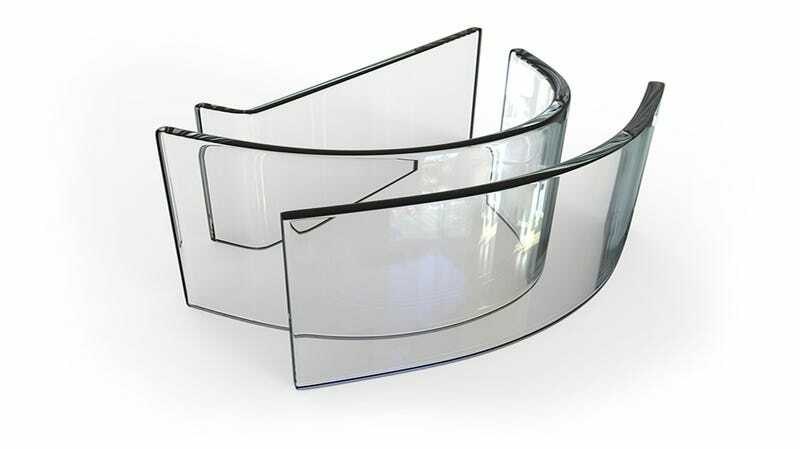 What Crazy Gadgets Will Be Made With Corning&apos;s New Flexible Glass?